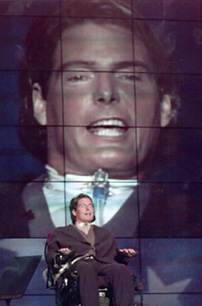 Christopher Reeve and his wife Dana spent highly productive years helping sensitize today's society to the urgency of spinal cord research and to the rights of the disabled to full opportunities for work and play. That effort continues, despite Reeve's untimely death. Rahman Davoodi of the University of Southern California maintains an extensive set of links to web-based information on spinal cord research and related issues. 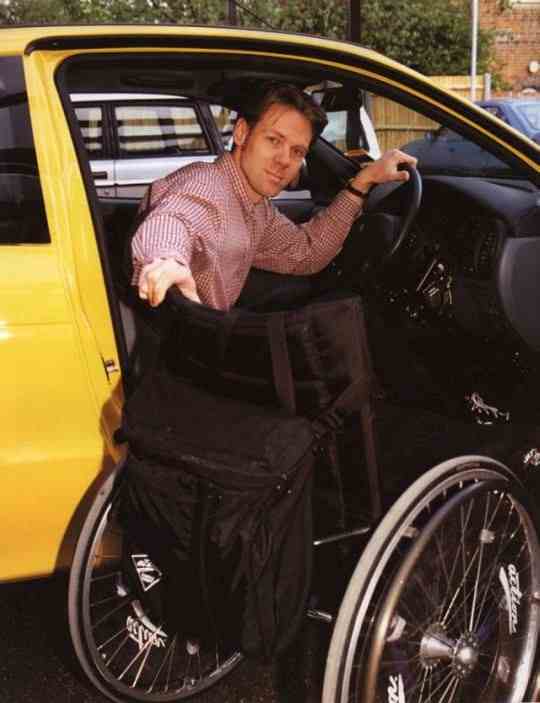 . .
And Canadian John Wellings, who masquerades as Hillbilly Hank, provides a down-to-earth look at one man's life in a wheelchair, in his website Paraplegic Pandemonium. which have punished those who work by removing their medical safety net -- until the new work incentives improvement act,signed into law by President Clinton in late 1999. A Louis Harris poll, now almost a decade old, initially released by the National Organization on Disability, provides statistical evidence that many people with disabilities are unprepared for terrorist attacks and other crises. NOD and Harris now have a dozen years of research in the disability field. WASHINGTON, DC (AP) -- President Clinton today signed a law letting millions of disabled Americans retain their government- funded health coverage when they take a job. Fear of losing Medicare and Medicaid benefits is a major barrier keeping disabled people from seeking employment. About 9 million disabled adults receive Medicare and Medicaid. Income above a certain level disqualifies people from the federal programs. The new law provides $150 million in grants to encourage states to let disabled workers buy into Medicaid, the federal-state health program for the poor. It also creates a $250 million Medicaid buy-in demonstration for people who are not so severely disabled that they cannot work. It extends, for 4 1/2 years, Medicare coverage for those in the disability insurance system who return to work. Disability beneficiaries returning to the work force would get a voucher for purchasing health care services--either private or government.
. . . but the job isn't finished. Access comes a day at a time, one issue at a time. ASHINGTON, DC — The Supreme Court today carved out a new area of immunity for the states from the reach of federal civil rights law, ruling that state employees cannot sue for damages for violations of the Americans With Disabilities Act. The 5-to-4 vote . 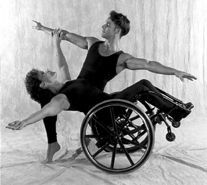 . . was important for what it portends, both for other types of cases under the disabilities act and for other civil rights statutes. The justices will soon consider whether to take up a state immunity claim under the section of the Americans With Disabilities Act that requires government agencies to make their services, programs and activities accessible to people with disabilities. This section, not limited to state employees, is the provision that has led to the familiar curb ramps at crosswalks, accessible buses and other accommodations for people with disabilities. Under the analysis the court applied today, there is every reason to suppose that the justices will find the states immune from suit under this section as well as the employment section. Chief Justice William H. Rehnquist's majority opinion concluded that . 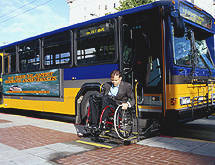 . . the Americans With Disabilities Act was based on an inadequate legislative record. In order to make states liable to private suits for damages, it was not enough for Congress to take account of general societal discrimination against people with disabilities. Instead, he said, Congress needed to demonstrate to a high level of proof that the states themselves had been engaged in a "pattern of unconstitutional discrimination." The second part of the majority's analysis was equally far-reaching and disputed. 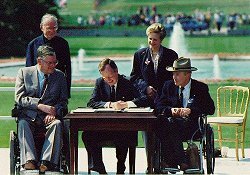 Drawing on its recent decisions holding that Congress cannot impose obligations on the states that go beyond what the Constitution itself commands, Chief Justice Rehnquist said that because the Americans With Disabilities Act did in fact impose such obligations, it could not be a valid abrogation of the states' immunity. This conclusion in turn was based on the status of disability in the court's hierarchy of unconstitutional discrimination under the 14th Amendment's guarantee of equal protection. It is a hierarchy in which intentional discrimination on the basis of race receives the strictest judicial scrutiny and is presumed to be unconstitutional in the absence of a compelling justification, while discrimination on the basis of such characteristics as age or disability receives the least scrutiny and is presumed to be constitutional as long as it is rational. 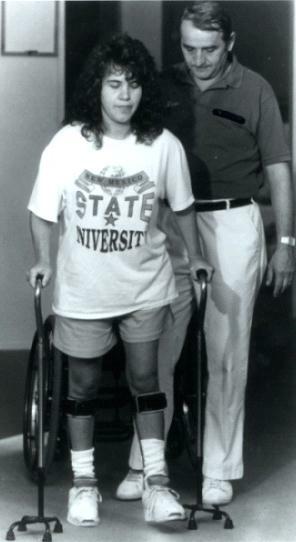 Chief Justice Rehnquist said it would be "entirely rational and therefore constitutional for a state employer to conserve scarce financial resources by hiring employees who are able to use existing facilities" without the accommodations that the disabilities act requires for those who need them. To uphold the prospect of state liability for actions that were not unconstitutional "would allow Congress to rewrite the 14th Amendment," the chief justice said. In his dissent, Justice Breyer said the court "improperly invades a power that the Constitution assigns to Congress" under the 14th Amendment. Section 5 of that amendment gives Congress the power to enforce, through "appropriate legislation," the amendment's substantive guarantees of equal protection. Justice Breyer said the decision today "saps Section 5 of independent force," in contrast to the court's decisions in voting rights and other civil rights cases that have treated Section 5 as giving Congress the ability to remedy or prevent actions that were not necessarily unconstitutional. is devoted to home design, to making private residences 'visitable' by the disabled. 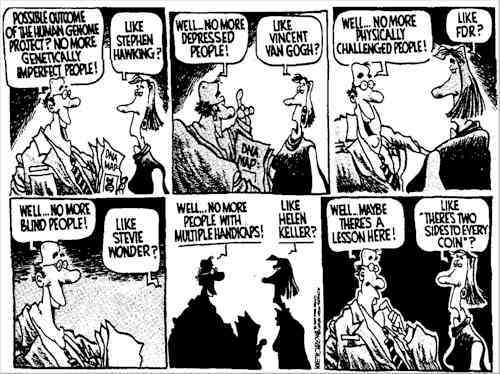 Lots of good ideas, and political action, too. 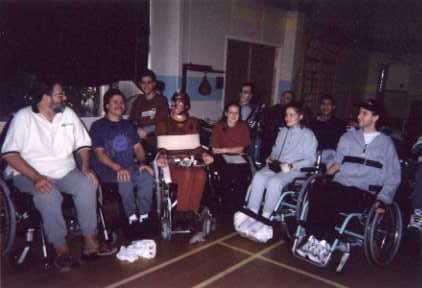 and its companion webzine, wemedia.com, cover the entire spectrum of disabilities, from mobility to hearing to sight . . . and sometimes gets exercised about disability rights, too. Hand controls, curb cuts, and lightweight chairs don't help much when employers won't consider hiring a disabled but fully able worker. 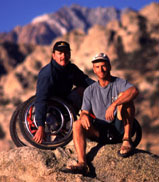 The visibility of wheelchair sportsmen like John Davis of Vail, Colorado, above, aided by the work of competitive wheelchair designer John Castellano, will help erase many misconceptions. But often it takes legislation and active advocacy to make wider opportunities happen. is a disability activist group that opposes assisted suicide for the disabled, and takes 'dead' aim at Dr. Kervorkian. Read about their movement, founded by Chicago's Diane Coleman, and see what you think. NEW YORK (Reuters) - The New York Yankees agreed on Monday to settle a federal discrimination suit by vastly increasing the amount of seating for wheelchair-bound fans and providing a choice of ticket prices to the disabled. Prior to the settlement, 44 pairs of wheelchair and companion seating locations were provided at Yankee Stadium, which seats more than 50,000. Under the accord, the number of these locations will be increased to 400 pairs and will be dispersed throughout the lower levels of the stadium. MIAMI (AP) — Department store aisles packed with merchandise are supposed to increase sales, but disabled people who say the crowding keeps them from shopping at some Macy’s stores have filed a lawsuit. The Americans with Disability Act requires main store aisles to be 36 inches wide. is invited to the dance!